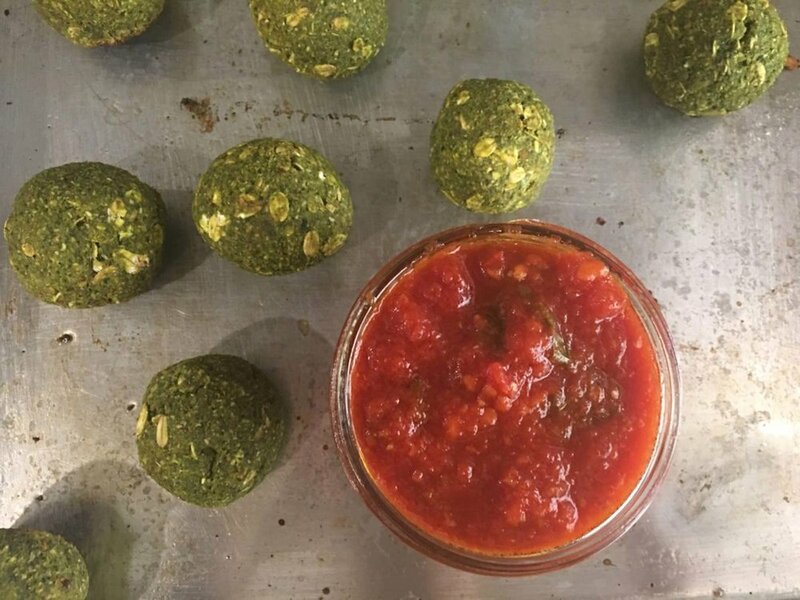 a ball of ground or chopped protein with added seasonings. This past Fall, I got married to Shawn Vecchione and was honored to enjoy some of his family’s famous Italian recipes the night of our rehearsal dinner. See, this was quite a big deal! The Vecchione Family ran an Italian restaurant, Villa Vecchione, at the corner of Main Street and Potter Avenue in Hyannis, MA until 1992. This is the same location where I now own The Local Juice with my partner, Jen Villa. One of their “secret recipes” was also enjoyed that evening….THE FAMOUS VEGETARIAN MEATBALLS. I haven’t received the recipe yet, but I was totally inspired to intuitively make my own for this season. Preheat oven to 350 degrees. Blend all ingredients in food processor. 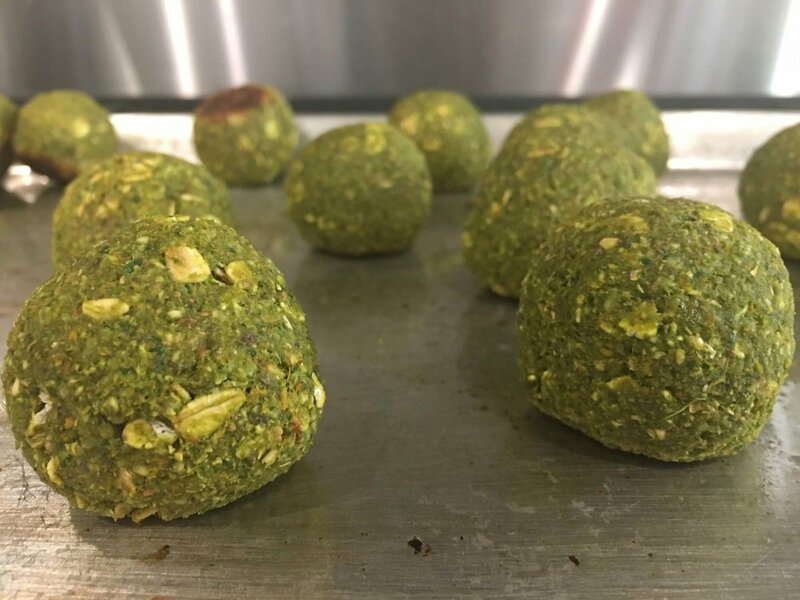 Roll into small balls and place on baking sheet coated with olive oil. Bake for 10 minutes. Serve with tomato sauce, 1 cup veggies + spaghetti squash OR as an appetizer with sauce on the side for dipping. Yield: Makes about 30 vegetables meatballs. What is Nutritional Yeast? Simple, yet complex. It is an inactive yeast made from sugarcane and beet molasses from a fermentation process. Just like other fermented foods, it has benefits like antiviral, antibacterial and immune boosting. The nutrient package is pretty impressive: B vitamins, 9 grams of protein per 1/4 cup, folate, thiamine, riboflavin, niacin, selenium and zinc. The nutty cheesy flavor makes it a great addition to lots of vegan dishes or in place of other processed condiments. NOTE: Be sure your nutritional yeast is labeled Non-GMO.